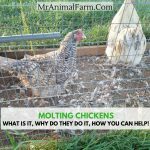 How to incubate chicken eggs is our current obsession! We are pretty obsessed with using our incubator to hatch chicks. It is so exciting! We were rather intimidated at first. We had no idea how to incubate chicken eggs. It seemed so complicated with the humidity and the temperature, the candling and the turning. So far, it really has not been too bad though (I suppose the real test is when we see what our hatch rate is….just 11 more days!). 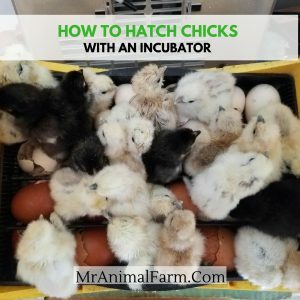 We have already given a quick tutorial on How to Tell if an Egg is Fertile and also What You Need to Hatch Chicks, so today we are going to give a quick how to incubate chicken eggs with an incubator…. We just got a trio of Jubilee Orpingtons. We also just ordered an incubator, so now all we need is fertilized eggs! So, now we have been waiting (impatiently) for our first eggs from the Orpingtons and today we finally got one. Then we thought, great, now how do we know if this egg is fertile? You can always just take the chance and plug them into the incubator, wait a few days and then try candling. But, who wants to wait?! 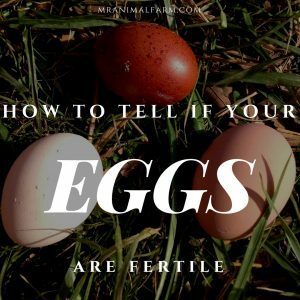 So, how do you know if an egg is fertile? The best way to tell is to crack the egg open and look for a “bullseye”. The bullseye is actually called a blastoderm. Even an unfertilized egg will have a white spot in it (which is actually a blastodisc). In the unfertilized egg, the white area is more of an irregular shaped area whereas in the fertilized egg it is a more circular defined area with a bullseye around it. Today we brought in our first Orpington egg and eagerly cracked it open into a bowl. 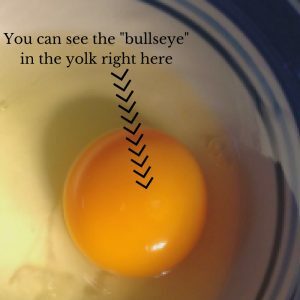 We couldn’t see anything at first in the yolk, so we had to carefully turn the yolk over with a spoon. Luckily, we did find a bullseye! If you look closely at the yolk below (toward the middle right) you can see a light bullseye. (It is difficult to get a good picture). Now we will spend the next few days collecting eggs and then set them in an incubator (We recommend the Brinsea Eco 20 or the GQF Digital Sportsman Cabinet Incubator 1502). 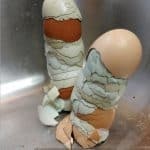 Now that you know how to tell if your eggs are fertile, make sure you know the other supplies needed to hatch chicks as well as how to use your incubator. We can’t wait to have little fluffy baby chicks running around. Do you check to see if your egg is fertile before starting to set eggs? They are here! Our first two sweet Nigerian Dwarf goats! We have Jill and her sweet baby boy, Bauer finally at home. We have a third goat who will be a baby girl arriving in a few weeks. 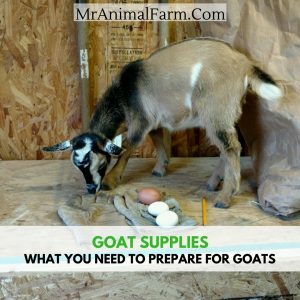 So, we have been figuring out what goat supplies we need and how to prepare for goats! 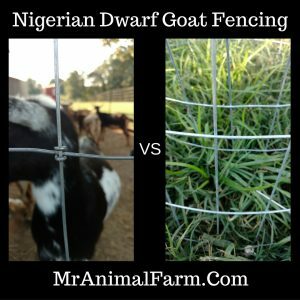 Never having owned goats before it was hard to know exactly how to prepare for bringing Nigerian Dwarf goats (or any type of goat) home…. One of the things we struggled with when looking at adding a flock of laying hens was how to keep them safe while still having plenty of space outside in the grass and sunshine. We have a lot of potential predators on and near our property including raccoons, skunks, coyotes, and a whole family of fox. We have been extremely lucky (thus far) and have not lost any birds to predators. I believe that our preparation to keep predators out is a big part of us not losing any birds to predators. 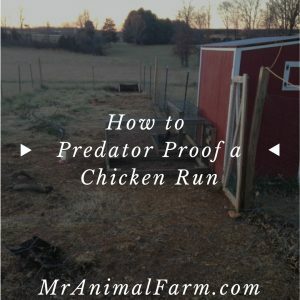 Although we do try to let our birds free range when possible, they do spend time in a predator proof chicken run. Although, I am not sure if you can call it a “run” exactly. Most “runs” are small wire cages that allow the birds their minimum space requirements. Our “run” is a fenced area that allows them almost 1000 square feet of space (and we are about to expand this, since we have of course integrated in new birds since building it.). In order to allow them maximal space, but still keep them safe, we took several precautions when putting the fencing up. Since we are new to Nigerian Dwarf goats, we have done quite a lot of research getting ready for our three coming in the next week. I like to know what I am getting into in as much detail as possible. Goat fencing can be confusing because there are a lot of opinions on what does and does not work…. I suppose our journey to starting with small scale farming started several years ago in a small fishing town in sunny Florida. Even though the sun and surf were spectacular, the housing market was not one that suited us well. Though we by no means owned a farm, I would say we still had a small herd of dogs….4 of them at that point. We were really looking to buy a house with, at the very least, a decent sized yard. Unfortunately, that was not really one of the selling points for properties in our location. We had tossed around the idea of moving to various locales. But, I was not buying the pitch to move back to Virginia. At least not until the promise of a goat. I guess animals have always been my weakness. (I suppose a goat was not the only thing that convinced me. However, it was at least an important item on the list). That was just about three years ago. 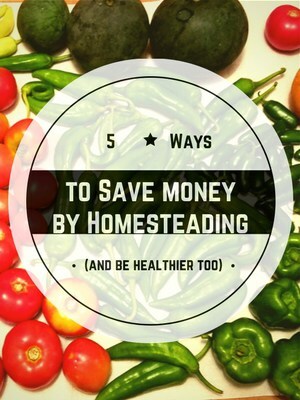 At that point we were not actually thinking about small scale farming or homesteading. 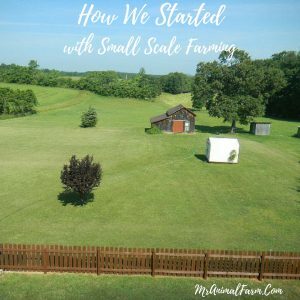 Since then we have purchased a house with a small amount of acreage and started to build out our very own small scale farm (or mini-farm as I like to call in). When we first moved in, I would look out our back window and ponder what we would ever do with that huge field…..now I start to ponder how many more things we can fit back there (now that my goat promise has been cashed in I am holding out for something else exciting. How about a mini cow, sheep, a mini horse, a wallaby even!). We started out gardening. We try to stick with organic foods and, well, they can get quite pricey! So, what better way to save a penny or two (as well as have delicious veggies) than by starting a garden. We quickly added in a flock of 17 laying hens for farm fresh, organically fed eggs. We can’t wait to start growing our mini-farm this year. We are looking to expand past supplying just ourselves with farm fresh items. In the short run, you can expect to see our Blog continually updated and expanded. We are excited to share our experiences growing the mini-farm. By mid-year 2015, we hope to start offering products such as day old to point of lay chickens and free range, organically fed eggs. By end of year 2015, we are looking to add goat milk products from our new Nigerian Dwarf goats.